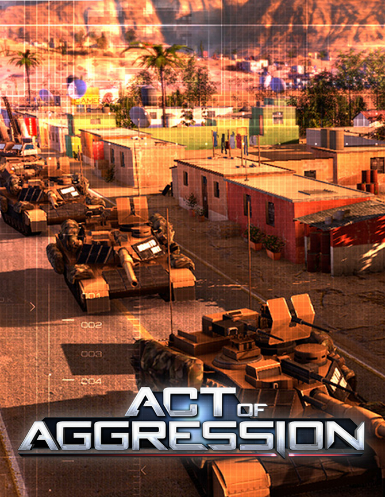 Set in the near-future, Act of Aggression is an explosive techno-thriller real-time strategy game hailing from the Golden Era of RTS. With three global super-powers, there can be only one victory. Build and manage the cogs of war in a return to strategic base-building, resource harvesting, and dynamic tech-trees. Capture banks and enemy soldiers to generate cash income. Upgrade units with specialization and unlock new skills. Embark on an epic single player Campaign with a thrilling original story, and fight throughout the world on realistic environments. Compete online in visceral PVP battles and become the best commander.